i keep buying as many cherries as i can find, before they are completely gone till next year. which tends to leave me with an extra cherry or two. 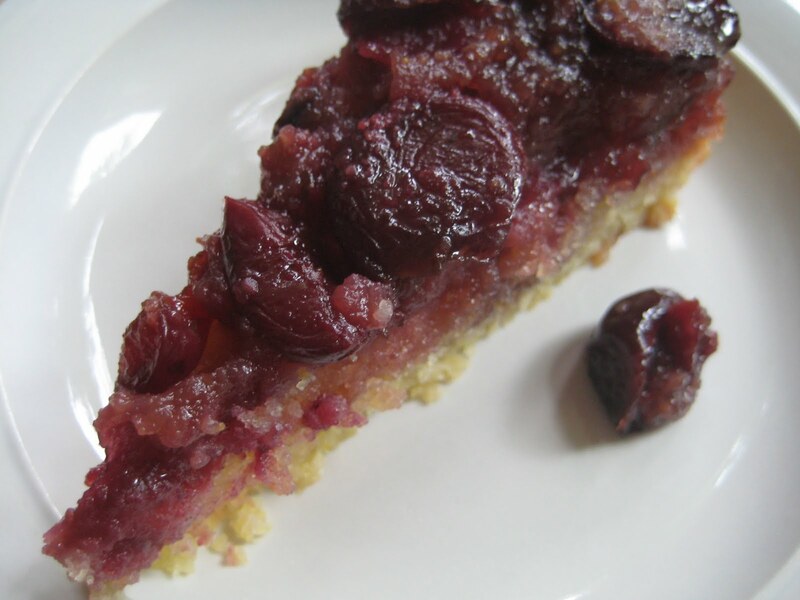 i was making a brunch for some friends and wanted to make something a little fancy, so i decided to turn our family favorite, blueberry short cake, into cherry upside down cake, but with a few tweaks, i added 1 tsp. almond extract and 1/4 cup of cornmeal. best decision ever. it had the perfect consistency and flavor and crumb and just overall goodness. why are cherries so darn good? why can't summer last forever? i need fresh fruit and veggies at my disposal every day—as well as this cake.